Gian Wild is the CEO of AccessibilityOz. She has worked in accessibility industry since 1998. 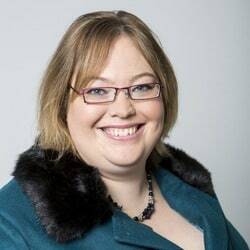 Her major achievements include: the very first Australian accessible web site; the accessibility compliance of the Melbourne 2006 and Gold Coast 2018 Commonwealth Games; her six years’ active membership in the W3C Web Content Accessibility Guidelines Working Group; and her speech on the importance of web accessibility at the United Nations Conference of State Parties in June last year. Gian has spoken at conferences in Australia, US, Canada, South America and Europe.